New research suggests that walking at least six miles per week may protect brain size and in turn, preserve memory in old age, according to a study published in the October 13, 2010, online issue of Neurology®, the medical journal of the American Academy of Neurology. Brain size shrinks in late adulthood, which can cause memory problems. Our results should encourage well-designed trials of physical exercise in older adults as a promising approach for preventing dementia and Alzheimer’s disease, said study author Kirk I. Erickson, PhD, with the University of Pittsburgh in Pittsburgh. For the study, 299 dementia-free people recorded the number of blocks they walked in one week. Then nine years later, scientists took brain scans of the participants to measure their brain size. After four more years, the participants were tested to see if they had developed cognitive impairment or dementia. The study found that people who walked at least 72 blocks per week, or roughly six to nine miles, had greater gray matter volume than people who didn’t walk as much, when measured at the nine-year time point after their recorded activity. Walking more than 72 blocks did not appear to increase gray matter volume any further. By four years later, 116 of the participants, or 40 percent, had developed cognitive impairment or dementia. The researchers found that those who walked the most cut their risk of developing memory problems in half. If regular exercise in midlife could improve brain health and improve thinking and memory in later life, it would be one more reason to make regular exercise in people of all ages a public health imperative, said Erickson. Although many peoples’ daily lives are incredibly busy, making time to exercise and squeeze physical activity into your life, is essential to a healthy lifestyle. It’s easier than you think! When entering or leaving somewhere and your choice is the elevator or the stairs; Chose stairs! While you’re brushing your teeth in the morning, do some heel raises. You can work your core abdominal muscles anywhere, simply by engaging them! Standing tall, with both feet firmly on the ground, scoop your navel in toward your spine and squeeze/engage your abdominal muscles. Over the last couple of decades, group exercise classes have come a long way since leg warmers and brightly colored spandex. It is no longer necessary to follow a complicated aerobic step routine in order to get a good workout. There are a variety of class options out there, in different class sizes, for all different fitness levels. 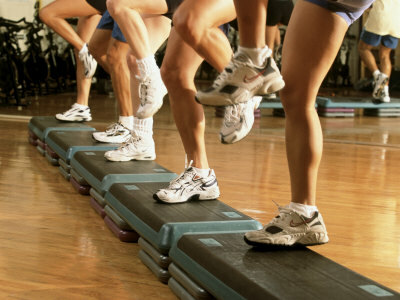 Yet, in my opinion, the best way to guarantee a safe and effective workout is in a smaller class environment. In a small class, the intimidation factor is gone and the personal attention from an instructor ensures that exercises are being performed correctly. In addition, the instructor can provide modified movements to cater to a healing part, sore spot, or sensitive area. And, not to worry, the enthusiasm and energy that generates from the group environment is still present! So, if you have been shying away from the crazy routines and neon spandex, fear no more! Sign up today for any three small group classes of your choice at Smart Workout. We all know the old tale. When youre in a relationship, weight gain is common. Most couples get comfortable and in a routine, which can help the pounds creep on. But, do singles really have an easier time keeping weight off? Not if youre out consuming high-calorie drinks youre not. So for this upcoming Valentines Day- focus on the fun AND food. 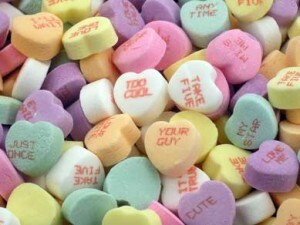 Valentines Day has not only become a day of romance- but also sweets, large pants-busting dinners, drinking and partying. 1.) Try something new: Instead of going out to a romantic dinner (which lets face it -can be cliche) why not try a cooking class with your significant other? Not only will you be moving and not sitting the entire time- but you can eat as you go and have a great new staple dinner for any other night of the week! 2.) Keep romance alive: Many restaurants will have a pre-fix menu for Valentines Day. While these can be a nice sampling of specialties at a restaurant- it may be overkill for your diet. Have one person get the pre-fix and the other get an entree. Split the appetizer and dessert. You wont be overstuffed- and hey- spooning chocolate molten cake into your honeys mouth is the idea of romance! 1.) Make it a date-night: With all of your friends. Get a big group together and try a tapas-style night out. Sharing great food and great conversation is what love is all about! 2.) Keep the drinks low-cal: If you plan on doing a classic anti-Valentines Day event (as most singles do for this holiday) be sure to keep your liquid calories in check. Skip the fruity mixers and go for a champagne cocktail or tonic water with your liquor. 3.) Eat the office treats: Choose a day and a type of treat if your office has an abundance of chocolates and candy out. Let yourself have a few- and make sure its after lunch.